This is a sponsored conversation written by me on behalf of Burt's Bees. The opinions and text are all mine. Sometimes when I'm having a snack, something like an apple is all that I need. Other times, a little snack is not going to cut it which is when I need something with more substance. Maybe you had a hard workout or didn't eat enough for another meal. These are the times that you want a bigger snack that is more like a meal to get you through the day. 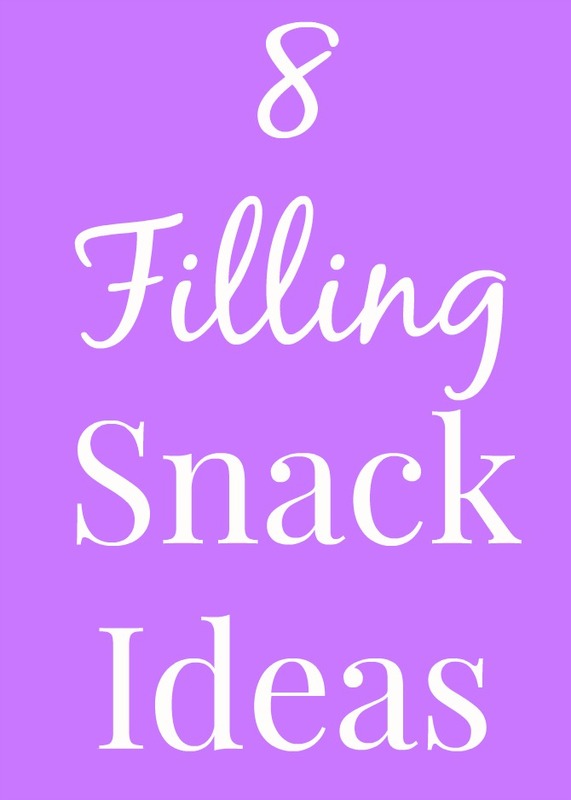 When I want a more filling snack, there are a few things that I focus on. Each snack does not have to fit into each category but it should at least fit into a couple. I focus on having produce- either a fruit or vegetable- for fiber, vitamins and minerals. I also try to include a whole-grain such as whole-wheat toast, whole-grain wraps or crackers. I aim for snacks that are high in protein. Protein helps to keep you full and is a great nutrient to look for in a snack. Snacks with healthy fats such as avocados and nuts are a bonus. I also look for low-sodium options that do not have too much sugar. A snack does not have to be junk food like chips, candy, pop or cookies. It can be real food such as hummus, sweet potatoes, beans, vegetables or cheese. Branch outside of your typical snack options to find a new snack that you love that will fill you up. When I am short on time or don't want something like a meal, I like the new Burt's Bees™ Protein + Healthy Radiance Plant-Based Protein Shake for some extra protein. You just have to mix with milk for a tasty chocolate flavored drink or blend it into a smoothie. I like blending it with the vanilla flavored protein powder, fruit, spinach, milk and ice for a filling snack. I have been a big fan of Burt's Bees for years. When I heard that they were coming out with protein, I was so excited to try it out! These are available at Amazon. They also have Protein + Gut Health and Protein Daily varieties. This protein is made with 70% organic ingredients. It uses pea, rice, flax seed and sunflower seed proteins as well as oats. It has complete essential amino acids and is made with vitamins, whole fruits and vegetables. It is made with no artificial sweeteners or any of the top 8 most common allergens including dairy, soy or gluten. Burt's Bees™ Protein is lightly sweetened with honey, monk fruit and stevia. It is a powder that mixes in easily with liquid. This protein is not chalky at all and tastes just like chocolate milk when mixed into 2% milk. One serving is 120 calories, 1.5 grams of fat, 5 grams fiber, 3 gram of sugar and 15 grams of protein. It is very good! Follow Burt's Bees on Twitter, Facebook, Pinterest and Instagram. I love Greek yogurt and topped with fruit and granola or nuts and seeds, makes a perfect snack! Greek yogurt is rich in protein and calcium. Fruit provides fiber. Nuts or seeds provide healthy fats. I like making my own protein bars because then I know exactly what is in them and I can flavor them exactly like I like. Microwave a sweet potato until soft and fill with cheddar cheese, salsa and black beans for a nutritious and filling snack. I first saw turkey rollups at a baby shower and have loved them ever since! They are totally customizable too. If you prefer ham, use that. If you like hummus instead of cream cheese, use that. Swap your vegetables for whatever you like as well. I love snacking on fresh vegetables (I am doing so as I type this!) and love carrots, celery, bell peppers, cucumbers and broccoli. I love dipping them in a Greek yogurt based dip or hummus. For a little more protein and calcium, have a string cheese as well. Whole-grain toast is a great snack option because you can customize it however you like it. You can use almond butter or peanut butter and top with whatever fruit you want. The nut butter provides healthy fats, protein and fiber- all of which help to fill you up.